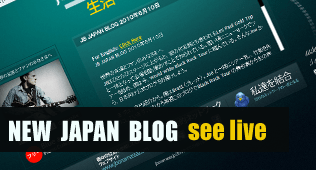 Joe recently released a new website targeted towards Japanese fans. The new site sports a completely different look from Joe’s official English site. It appears to be that the Japanese site will be more of a blog. It will have news about Joe and updates from Joe on the road. The updates from the road will be featured in the “Black Rock Tour Diary”. The Japanese site is a great idea since Joe released a special edition album just for Japan, which has two bonus tracks on it. You can visit the website here.